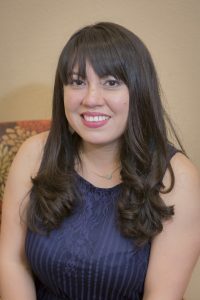 Miranda Ruiz-Leal - The Legal Connection, Inc.
Born and raised just outside Austin, Miranda began her legal career at a local criminal law firm. This background became invaluable when she started working in Record Retrieval in 2008. She joined the team at The Legal Connection in December 2010. It was evident during her interview Miranda “knew her stuff” and would be a great addition to the TLC team. She has grown from Brenda’s Case Assistant to a Case Manager managing her own cases and clients, as well as being our Letters Rogatory/Commission expert in State Court cases. Miranda’s “no-nonsense” way of dealing with problems makes her an invaluable tool for the clients when problems arise with witnesses not complying with requests. She knows how to put on the pressure to get the job completed in a timely fashion. She understands the State and Federal Rules of Civil Procedure, case law, and regulations, and has taught her team to use them to our client’s advantage. Miranda is married, has one son and a dog, and enjoys being with her family, who lives nearby, on the weekends.